Bart gets into a fight with Nelson, the school bully, while protecting the cupcakes that Lisa baked for Miss Hoover. 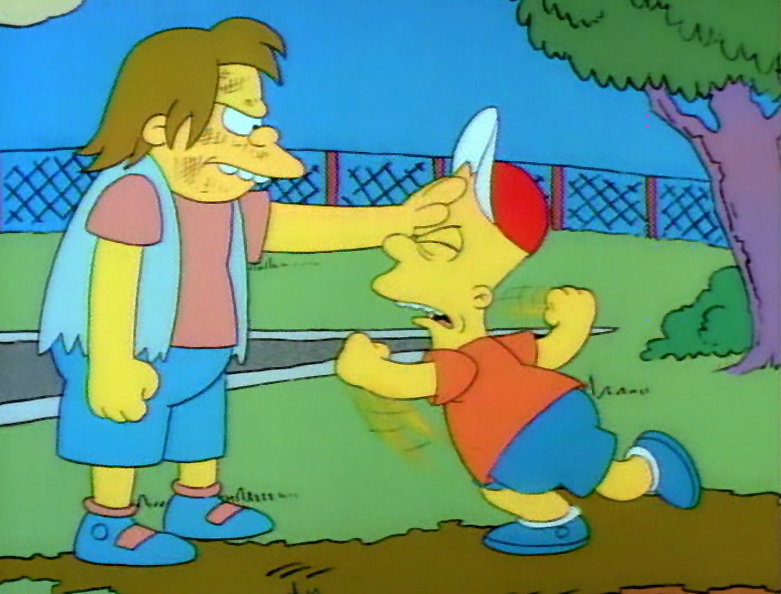 Nelson beats up Bart after school and warns him to expect the same treatment the following day. At home, Homer advises Bart to fight dirty, while Marge suggests that he try to reason with Nelson. 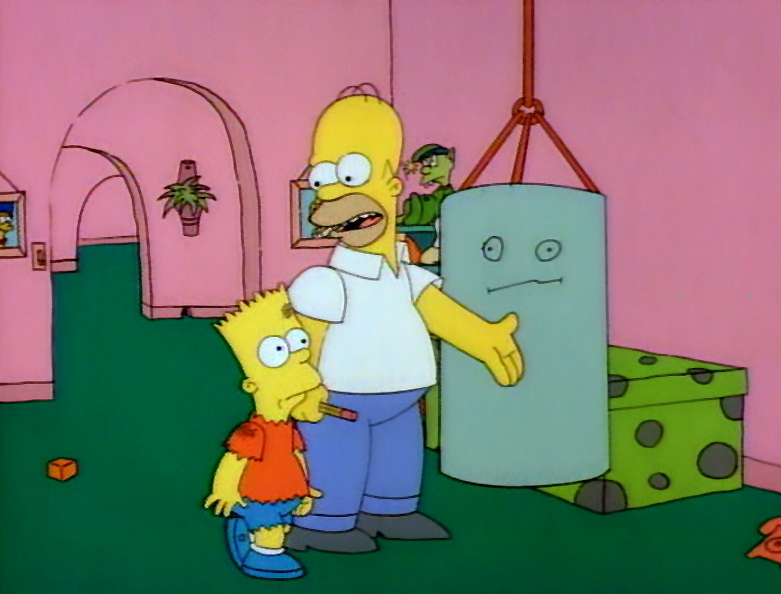 Choosing Homer's advice, Bart confronts Nelson but is beaten up again. This time, he turns to the toughest member of the Simpsons family, Grampa Simpson. Grampa introduces Bart to Herman, a crazed veteran who runs an army surplus store. 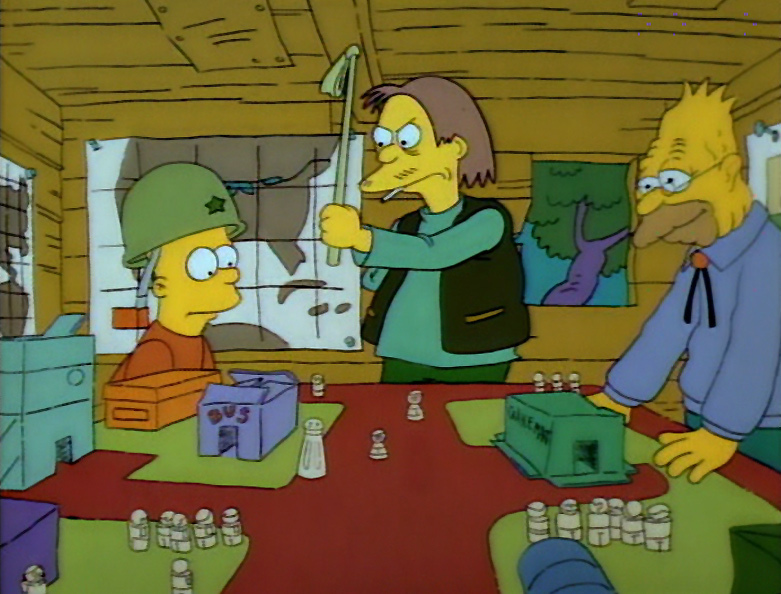 Herman declares war on Nelson and instructs Bart on a full-assault strategy. Bart gathers other kids at school who have been traumatized by Nelson and enlists them as troops. 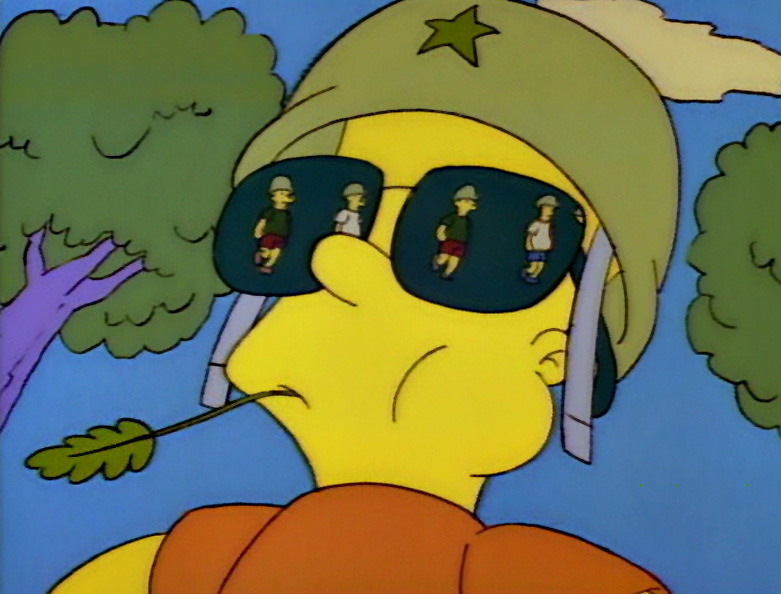 As Herman commands from the field, Bart leads them into battle. Cornering Nelson and his thugs, they commence firing water balloons. Terrorized, the thugs surrender. Nelson is taken prisoner, but he threatens to kill Bart as soon as he is untied. Afterwards, Herman drafts an armistice, which Bart and Nelson agree to sign. Marge enters with cupcakes to everyone's delight. Lisa refers to her teacher as "Mrs. Hoover" instead of "Miss Hoover"
Lisa announces Bart with the title "Bart the Bully Killer"
Homer tells Bart to fight dirty by throwing mud in his opponents eyes, hitting him when his back is turned and aiming for the "family jewels"
Grampa's list of words he no longer wants to hear on TV are: bra, horny and family jewels. Herman owns and operates Herman's Military Antiques and the password to enter is "Let me in you idiot"